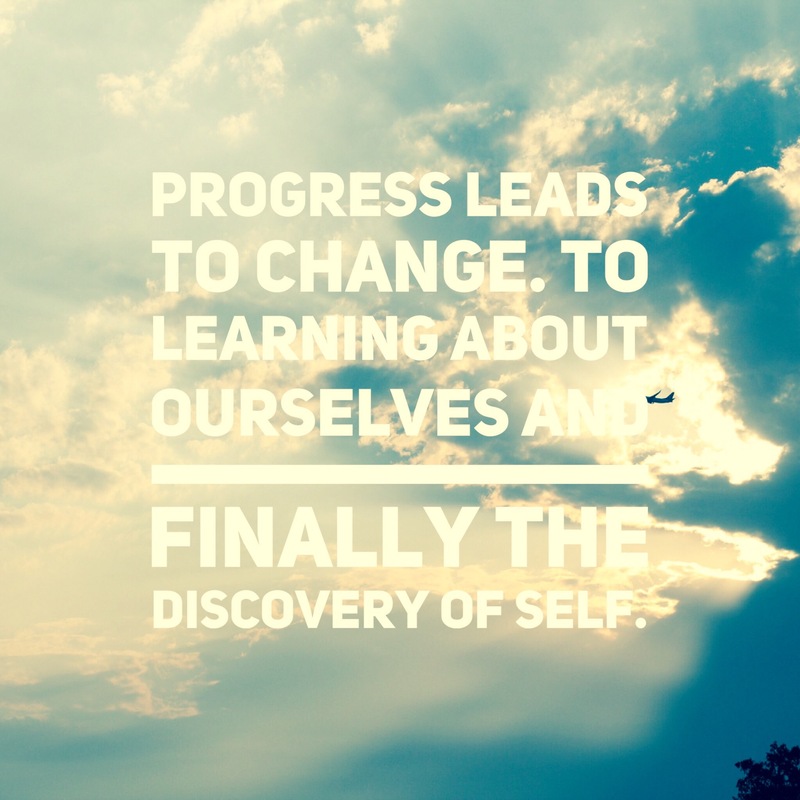 How Progress Leads to Change, To Learning About Ourselves and Finally Discovery of Self. Progress and its many smaller side effects, change, learning and discovering lead to who you are. Change matters to those who want a better life for those around them and when they discover the way to achieve change, no matter what is going on in their lives, they learn that it’s been worth it. The smaller moments they’ve had, learning to be the people they’ve become, because with change we often need to learn how to deal with the changed people we’ve become. Learning about who we’ve become and discovering all the processes that entails. From the way we handle those around us, to the need to let others know we are different and that we’ve become someone else. Learning these things, discovering the intricate ways our brain has adapted to the changes and how we deal with these processes, that is where the real progress begins. We progress as far as we can through change and learning, but discovery is where the major things happen. In discovery, we find that things are better than we believed, and possibly more involved with the world than we believed as well. Discovery leads our lives in a direction that will give us new life. This life makes us better, stronger and more involved in who we want to be. Being this person and knowing that we’ve worked hard to progress to that stage of our life, it gives us hope that others can change and within that hope we’ll begin to help others progress. Discovery of self helps us be the person we were always meant to be and helps us define who we want our future self to be. The discovery of self demystifies the world around us. Leaving us open to experience the beauty around us without thought of why it’s beautiful only knowing that it is. Previous Post Previous post:A Truck, A Move and Offering Prosperity to My Family. Next Post Never Concede Greatness.